But our species didn't simply crop up one day on a Galapagos volcanic island. In many cases, their ancestors migrated here from somewhere else before going through the process of natural selection and adaptation into a new and unique species. Penguins and cormorants are just two of the most obvious examples. This migratory behavior continues today and actually teaches us that though different and special, we aren't always as isolated as at first appears. So, we have learned that by land, air and water, species have come to Galapagos. Likewise, we may wonder whether our species ever leave our preserves for places far away. A perfect example of how little we know about some of these migratory behaviors recurs regularly when, on many of my trips, my guests and I see green sea turtles lining up on the beaches where they are breeding and laying eggs. When we are really fortunate, we watch the eggs hatch 200 or more at a time. 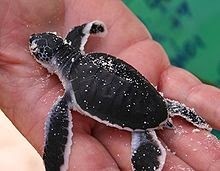 Those little hatchlings that make it from the edge of the beach to the ocean disappear and are not seen again until they are of breeding age. When I'm asked where they go, I answer that we can't possibly know. After all, you can't put a tracker on these little babies; it would weigh more than they do! Not only that, it takes between 20 and 50 years for a green sea turtle to reach sexual maturity and a healthy individual can expect to live 80 to 100 years or even more. 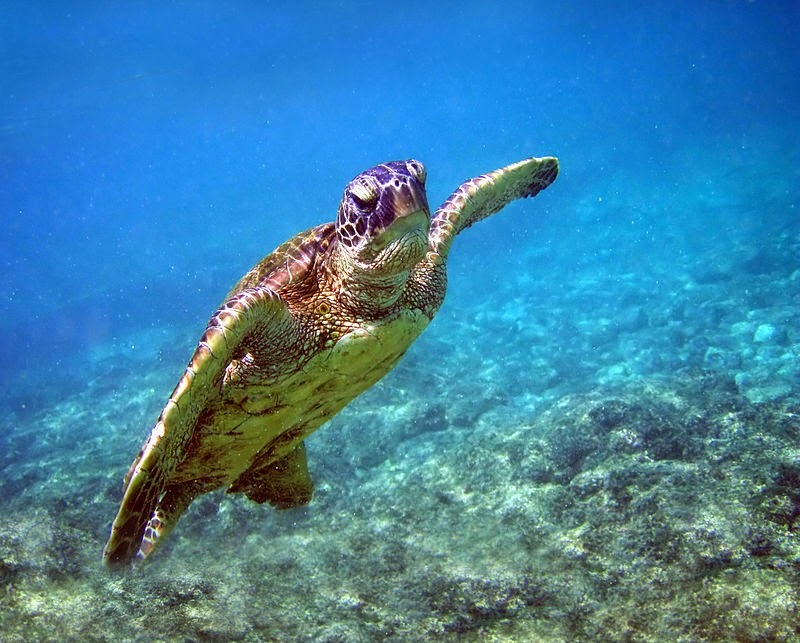 Though we know that sea turtles often swim hundreds of miles from where they are born and often return to that spot to breed many years later, the fact is that more is unknown about the life history of green sea turtles than is known. We do know, however, that the species has become endangered. Now, important scientific research is being conducted and findings have been issued, both of which may help us learn about what happens to the sea turtle and how humans may be able to help preserve this species. Recent research made history. The researchers based their study on a working hypothesis that the Pacific Ocean provides some kind of super marine highway. This idea was tested and proven when a sea turtle was tracked from the Cocos Island National Park to the Galapagos Marine Reserve. The Cocos Islands are 830 kilometers north of Galapagos, off the coast of Costa Rico. This feat of navigation is an important milestone in understanding marine life behavior. This knowledge will also help environmentalists to protect the currently endangered Pacific green sea turtle from extinction through over fishing. The name of the tortoise who made history is Sanjay, a 117 pound male endangered green sea turtle who was tagged in June with satellite transmitters by Cocos Island researchers. 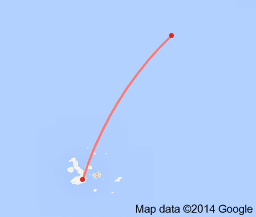 Sanjay was tracked all the way from Cocos Island Marine Reserve to Galapagos Marine Reserve. This migration corroborates preliminary genetic research that had suggested many of the Cocos sea turtles were born on the nesting beaches of Galapagos located more than 400 miles away. According to the researchers, "Sanjay’s 14-day swim is significant to the scientific community because it confirms another direct ecological connection between these two protected marine areas and adds another significant piece of evidence suggesting an important migratory ‘superhighway’ between the Cocos Islands and the Galapagos for a number of species including several threatened shark and turtle species." I wrote just a few weeks ago about longline fishing as it poses a threat to many fish species in Galapagos. These longline fishermen place literally tens of millions of hooks in the Pacific Ocean each year. Fishing and trawling, while prohibited in both Cocos and Galapagos, are rampant between the two marine reserves, causing a threat to an already endangered species. Sanjay, the sea turtle, joins several hammerhead sharks, a silky shark, and a Galapagos shark that have been proven to spend time at both of these reserves. This means that the 'superhighway' is an important and significant migratory pathway that needs to be protected. This information provides important evidence and ammunition to effectuate rules, regulations and legislation to limit and even prohibit this most invasive and harmful killing field. Scientists say that Sanjay is on the way to Isabela Island to the turtle nesting grounds. Maybe I'll see him on my next visit. I'll look for him and let you know! The information in this post was reported in National Geographic.